Teaching and technology has always walked hand in hand, or better, one has always followed another. And education has been the runner up so far. I say this because if we were to review the history of technology and teaching we will see that education lags behind in adopting nascent technologies. A classical case of this delay in adopting a new technology is the story of how the French educational system resisted in allowing students to use the novelty for note taking and other writing tasks. As I go back home from TESOL International Convention in Seattle, based on what I observed there and around my settings, I see that the potential of mobile devices is, in some cases, largely unexplored by educators. Differently from rolling ball pens, smart phones have not been invented with the intention of serving as a class tool. These phones are the children of landline technology and computers and were concocted for communication. What is happening is that they are being repurposed. In other words, we started using them to make calls, to take pictures, then to write, and now we are seeing them as educational gadgets. The question and the mission of educators in general lies in exploring the very devices they carry and see how this can be used in class. As a teacher teacher, I believe that the first step is to learn about what I can do with my mobile device and the ones my students bring to class and pass it on to my colleagues. Maybe if they get this knowledge they can think of how to use this in class instead of coming up with policies to make students shut down their phones. Being a teacher for some time, I have seen first hand the impact the adoption of technology has had in teachers' and in students' lives. Having that in mind, one cannot deny that it is important to adopt technology for teaching. In line with this premise, I would like to share something I learned in one of the many interesting presentations at the 2016 TESOL International Convention & English Language Expo in Baltimore, USA. This practice-oriented presentation (by Loni Thorson, Kyla Masciarelli, and Christine Discoe) was entitled "Using Selfies to Promote Language Learning." What the presenters pointed out was that technology is what students want. 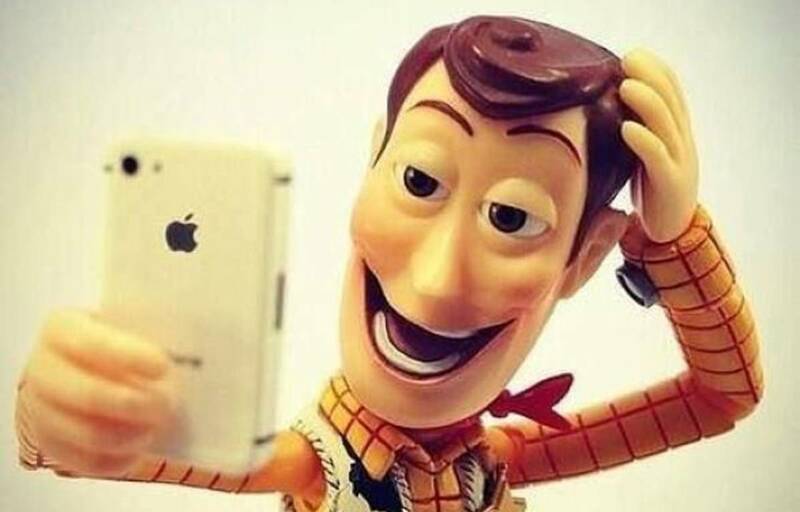 Linking the drive to communicate with the technology available to us, selfies are a trend in the world today. One point in favor of using selfies, the presenters argued, is that video chat is a growing trend. This is really true and the proof for that is that if we look around, we will see people making either video or picture selfies almost all the time. Besides that, video chat through Face Time, Skype or other channels are quite frequent among learners young and old. Educators have to admit that this is a sign that people in general are comfortable with this technology. This brings us to the first argument they presented in favor of using selfies as a means to learn a language: classroom comfort. Classroom comfort informs us that in order to have effective and authentic tasks, students need to be comfortable with the assignment. We observe that students are very comfortable with their cell phones. Actually they are uncomfortable if they don't have them. Social comfort is also important. Students need to be comfortable with the technology (cell phone). Being digital natives, students are used to seeing themselves in videos. They want that image to be curated. We want students to want their image to look good., they want to sound good, their pronunciation to be good, they want their image to look good. We teachers want students to want their image to look good. So, they have a natural desire to self-correct in terms of how they sound and how they look. This is exactly what we teachers want.Video chat is a comfortable environment for them. When people make a selfie video, they generally explain their surroundings and they give an update on what they are doing, they also explain if they are having a problem or if they are sick. All this updating creates a one to one interaction and, as a result, it increases comfort between students and viewers. A comfortable relationship with the teacher is created through this open communication channel. Besides that, it also creates comfort between students as they see themselves and their classmates in the videos. As time goes by, students that might not have been happy with how they looked or sounded, feel more comfortable seeing and listening to themselves. Some report never have listening to or seeing themselves before. As they report feeling more comfortable doing that. Some reasons that make us convinced that using selfies in the language are useful relate to comfort and attention. There are two types of attention: inward attention and outward attention. They are mutually exclusive and you cannot have the two going on at the same time. Why is it important to understand this concept when making selfies videos? While making a selfie video, students do not only direct themselves outward, but they also have to direct themselves inward to see what is happening to themselves. They correct themselves during the video and sometimes after the video. This kind of attention works as meter against which they evaluate their performance, and as a result, they record multiple times just to make sure they get it right. They are aware of their own self-presentation and they make more selfies as assessment or a class task, they get more confident of their performance and become more confident and fluent speakers. While watching the movie, I kept thinking to myself about the messages it was trying to convey. One message, in my opinion, was that technology brings progress and change. If this change and progress is for the better, is another issue. As I watched these heaven sent novelties take over this little tribesmen lives and make them neglect other aspects of their existence, I could also see that it brought information and entertainment. However, as I saw old technology being dumped because of the new one, I have to agree that it suggests that this obsession with technology, so present in our world, has a great impact on the environment because it generates a compulsion for thoughtless consumption and, as a consequence, the habit of dumping the old to welcome the new. The characters in this short movie do not seem to have a choice concerning the technology they use. However, they could create something instead of waiting for it to fall from the sky. To me, they seem a bit idle and always wanting to be entertained by a technology that is alien to them. It does not seem that technology provides them with what they need, they seem to simply get used and addicted to it. The technologies portrayed in the film are generally, as I have pointed out, alien to the characters, subject to constant glitches, unpredictable, and unreliable. The view of technology is quite dystopian and it enslaves the characters. This short movie shows how people can connect through web-based technology. At first, one could argue that it is a utopian account of how humans interact with and use technogy because it shows it is possible to meet people in many ways. I could even say it is neither, because I have grown to believe that the way we meet people on the web is not very much different than the way we meet people in real life. There are always limitations and insecurities as go back and forth in our minds never sure what impact we cause on others. When we first meet someone we never know if we will meet again and communication breakdowns often occur independent of medium. It is, in my opinion, a realistic account, if it is possible to say so, because to me it seems utopian the idea of communication and romance without glitches and communication breakdowns. The film presents technology as something that many times blinds humans preventing them to see the beauties of the natural world that lie above their heads, beneath their feet, and in front of their very eyes. Technology is portrayed as a second class substitute for brighter and enhanced equivalents in nature. It suggests that the price we pay for replacing the affordances of the natural world by manmade wonders is losing contact with ourselves and with the cycles of nature. On the other hand, making such substitution we gain control of our own bodies, our emotions, and our routine. Tech gadgets are the ones who have agency in this film. However, I ask myself, is it possible to have control? Isn't it utopian to believe we can take the reins of our emotions? In both short movies the machines have a great ecological impact. Just like in the first one, the second contains a reference to the skies thus implying a sort of helpless situation in which once characters\humanity cannot control the skies they cannot control the machines\technology. The first difference is that Bendito Machine depicts a world that is still run by the characters, whereas New Media shows us an apocalyptical scenario in which whoever and whatever existed is a process of being destroyed, drained, or controlled. In addition to that, in Bendito Machine technology is not necessarily evil, it is asked for in a sort of prayer to the gods, while in New Media it looks more like an uninvited or invading alien force. In the first movie, technology comes into one form only and seems to be present only at one sphere of life and characters seem to have a choice, in the second movie it is ubiquitous occupying every corner of the habitat, even our bodies, and there is no choice. In the first movie technology is subject to glitches and needs constant updates while in the second it is state of the art and evolved to have a mind of its own. Finally, the ecological impact seems to be localized in one (limited to a landfill) and overspread in the second. As we become more dependent of technology and technology itself moves towards integration with gadgets and with our own bodies in so many ways, The Matrix is a perfect dystopian story for our times. The movie tells the story of how technology took over our bodies and minds and controlled the world. In such an apocalyptic world as the one depicted in the movie, I ask myself, if it is really a dystopic story. I really believe that this singularity is humanities future and the technology featured in The Matrix seem to protect humans from noticing the grim reality surrounding them. Thinking like that one can draw a parallel between the heroes and the family of birds in Thursday: they seem lonely and doomed to disappear as they struggle to survive. Survival of nature and of reality as we perceive is doomed in a world dominated by technology. If The Matrix world will become a reality maybe we are just starting to sleep. One of my tasks in my MOOC on Rhetorical Writing on Coursera this week was to watch ten minutes of the this video and post my analysis. It was a good exercise. In his speech on desertification, the rhetorical appeal Savory uses most successfully is logos. His logical argument stands firm on a claim, a reason, and an unstated assumption. He claims that the “most perfect storm\tsunami” is “bearing upon” humankind who is facing a grim reality in which the world is getting hotter due to climate change that is being caused, among other factors, by desertification. He makes his point by showing evidence via images of before and after coupled with anecdotes collected through his vast experience as a scientist and researcher in the field.According to his argument, the reason why we should something about this problem, is because we are directly affected by it once we are also victims of climate change. Finally, his unstated assumption is that we are on the verge of disaster and that our civilization will perish (just like the Mayans as many others) if we do not find a way of reversing desertification. His appeal is also logically strong because it is well supported by statistics, causal statements, and relevant examples.His statistics’ citations include the percentage of Earth (about two thirds) that is turning to desert and the amount of rain fall in Yemen and the fate of that water. His causal statements depict how land that was once covered by vegetation becomes desert. He also shows how livestock plays an important role in preventing desertification from happening. Finally, he shares evidence that shows that, contrary to what many believe, it is large herds moving, grazing, and trampling the soil that makes vegetation come back and thus prevent desertification. Therefore, we should consider having large herds of livestock roaming in the land if we are to stop this disaster. Last but not least, I should say that the strength of his argument lies in the fact that he does not only appeal to logic, but also to ethos (his vast knowledge on the field), to pathos (his tone of voice and the life changing effect of his experience with elephants in Africa), and to kairos (he speaks at the right time, in the right place, and for the right audience). As I sat at my desk this morning staring at my computer screen, I was convinced one more time that I was not a born writer. In so many ways life has taught me that we have to fight many battles. So, as I crusade against the keyboard and a torrent of ideas for this essay, I was assaulted by the daemons of my fears and insecurities and many times I had the desire to take the road back to the couch and watch TV instead of writing. However, just as a farmer knows he has to plow the land if he wants to harvest something, I said to myself that if I had to engage the enemy in myself, I had to attack the dragon, rescue the princess of my self-esteem and write. Isn’t the creative process like this for everyone? Isn’t life a battle of some sort for every human being? Growing up in a developing country is not easy and learning to write depicts it quite well. In this manner, after clashing with many other possible titles, I kept the one I had chosen for my second assignment: ”a struggling writer.” I grew up the rural area of Midwestern Brazil in a poor peasant family. Therefore, as I scavenged the archives looking for stories, I came across three narratives of struggle that resonated with me and helped me paint a portrait of my adventures with writing and education in general. The first was "White Trash Writer" by Lucinda Eby, the second "I Am an Apprehensive Writer and Blogger" by Nancy O'Kelly, and the third "My mother, My Abuser, My Inspiration" by Alison Guynes. These three stories inspired me in different ways and I will try to weave them into my saga as a writer in the lines below. Lucinda Eby tells us in her wonderful narrative that she was raised in a “book culture.” Finding out that her father, who had another family and was an absent parent, used to come once in while with a truckload of books, made me a bit envious because I wished I had been given more books as a child. Had I had half of the books she had, would I have become a bit better with words, a better writer? I wonder. Although my father was always loving and present, this story of scarcity unites us in some way because despite the absence of books, I grew up in a sort of “educational culture” and that was “one of the pieces of luck I had.” Our family kept moving from farm to farm and my parents would only accept to work in a place that had a school nearby. Nearby, many times, meant a two-hour walk to a place in the middle of nowhere with only one instructor to teach reading and writing to about thirty kids ranging from first to fourth grade crammed into a single room. Consequently, I grew up walking to school and learned to value every step of the way. Looking back now, I guess my parents’ passion for learning was in so many ways what saved me and my four siblings not only from poverty, but from ignorance. Therefore, as I journeyed through elementary and middle school I was mostly a reader who incorporated stories into my dreams and nightmares. In high school, my penmanship made a debut in writing book reports and compositions in which I started expressing some of my own ideas and discovered I had a voice. I once managed to craft four different versions of the same book to help some classmates that were too lazy to read or just did not know how to do it. It was in a sense that hint of invention and trickery that made me suspect that there might be some hidden happiness, a lost treasure, in writing. 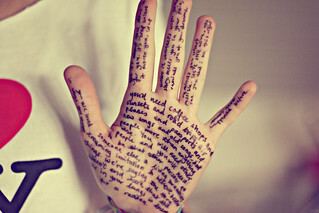 A fascination with words was taking me over. That was when I developed an interest for song lyrics and was mesmerized by the way musicians played with words, the poetry within songs overwhelmed me. Inspired by the beauty of song lyrics, I made some attempts at writing poetry that I compiled in a little notebook of poems I used to read to my teenage peers. As I grew older and prepared to enter college, the door of poetry shut as the curtains of academic writing opened in front of my eyes. I came across the mandatory composition prep course that culminated with the life and death challenge of a test. Such an exam was a turning point in my life because my choice of topic for the college entrance composition (dreams) made me a psychologist instead of a journalist. Maybe I just wanted to escape writing somehow. Can we escape fate? I ask. It seems we really cannot escape destiny. When I ran away from writing about social injustice and escaped being a journalist, I fell into the trap of being a psychology major who in the first semester just felt hypnotized by the writings of Sigmund Freud (the first one I read, The Interpretation of Dreams) and realized that a great deal of psychologist work is that of writer whose narrative that requires fine writing skills. Different from Lucinda Eby, who says her English composition classes were not very helpful, I owe a lot to my academic experience with writing once it poured content\ideas into my soul. As a psychology undergraduate student, I read a lot of books about psychology and psychoanalysis. These readings taught me the importance of considering an audience and once again helped me develop my voice. As far as writing is concerned, I don’t think I wrote anything worth remembering as an undergrad. However, in my master’s degree I was coached in writing and learned, among other things, that one needs commas for breathing and that writing drafts and revising them as much as possible helps a lot in the composing process. Due to this coaching, I was always able to complete my assignments and that made me feel proud of what I had done. Not a born, but a runaway writer, I became a blogger and an apprehensive essayist just like Nancy. Similar to her, I sometimes feel paralyzed in front of a writing task because I also "question every word, every sentence." Just like Nancy, when crafting blog posts, I fight battles all the time to compose a bit more than snippets. Nonetheless, a little different from Nancy, I do revise what I post despite feeling also “nervous and afraid” whenever I face a writing task. The psychologist in me reminds me that anxiety when facing a challenge is expected. If writing is such a struggle, why do I insist on doing it? Why did I enroll in this course? Wrapping up my chronicle as a learner and a writer and reflecting on why I keep fighting this battle, I guess I can relate with Alison Guynes’ narrative. She tells us that she started reading as a cloak to escape her bipolar, abusive mother’s fits of rage. I read and study as a shield against a government that does not invest in education, a way of escaping ignorance. However, Alison goes on to tell us that her camouflage was lifted when her mother told her to write her a story because she sure had something in her “useless little head”. Her first story was a success and she wrote many more and that did not only change her mother’s mood, but made of her a fan of her writing and a friend. So, thinking about why writing is so important to me, I guess that with my blogs I try to share some of the things I have my “useful little head” with my peers. Like a child that vows to conquer his mother’s love, I try to conquer some fans and friends through writing. Composing seems to emerge from the compulsion to tell stories, teach something to my peers, and unfold the creative process within my soul. The act of composing is a process of discovery in which I reveal and hide many aspects of myself. It is a chance to contemplate my multiple identities, my many possibilities. My camouflage is lifted and put back every line, every time I copy, cut, and paste. Writing allows me to deal with my fears and reinvent myself to keep fighting the daily battles within my soul.